First United Methodist Church has four circles, which are small groups of Christian women who meet once a month (September-May). We also have Supportive Members, women who do not belong to a circle, but support UMW with their many talents and gifts. A & M Circle meets the third Friday at 9:30 a.m. It does not meet in January or February. Harmony Circle meets the second Thursday at 9:30 a.m. 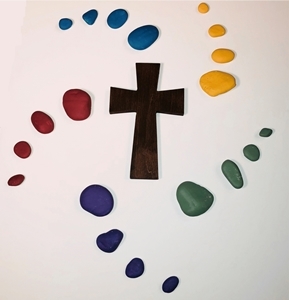 Unity Circle meets the second Thursday at 7:00 p.m.
Felicity Circle meets the second Tuesday at 7:15 p.m.
"We are ordinary women in partnership with God"
April 5 Spring Luncheon hosted by Harmony Circle at 12:15 pm in Fellowship Hall. Program: "Happy 150th Birthday United Methodist Women"
May 6 May Day Dinner hosted by Unity Circle at 6:15 pm in Fellowship Hall. October 7 UMW Night hosted by Felicity Circle at 6:15 pm in Fellowship Hall. November 1 Fall Luncheon hosted by A & M Circle at 12:15 pm in Fellowship Hall. December 6 Christmas Luncheon hosted by Executive Committee at 12:15 pm in Fellowship Hall. All Fellowship Meetings are open to every women of First United Methodist Church. You do not have to belong to a Circle or be a Supportive Member to attend. Circle information and reservations may be obtained by calling the church office at 712-258-0119 or e-mailing the church at scfirst@msn.com. Please join us in Christian Fellowship!